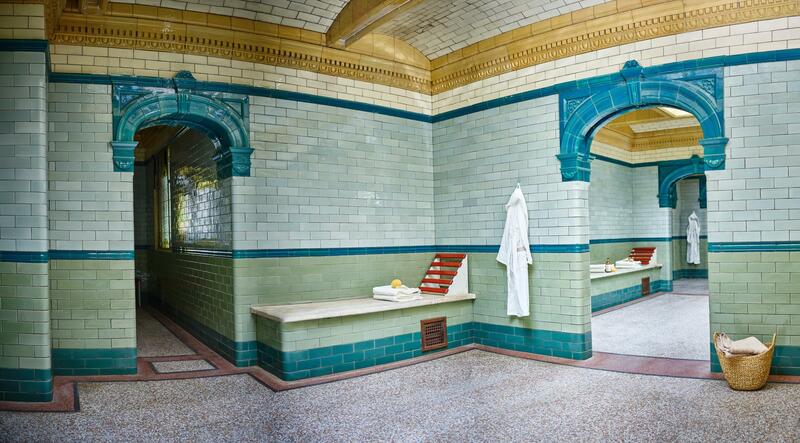 Thank you for booking your tickets for a Victoria Baths guided tour. Visit the Manchester landmark that won BBC Two's first Restoration programme. No expense was spared and when the building opened in 1906 the Lord Mayor described it as 'a water palace of which every citizen of Manchester is proud.' The building is remarkably intact. Experience the wonder of the beautiful stained glass, rich terracotta, sumptuous tiles and amazing mosaics. Victoria Baths served the community for 86 years with three swimming pools, Turkish Baths, a Laundry, Slipper Baths and an Aerotone. Join us for an entertaining and informative tour of the building, every Wednesday between April and October 2018. Doors open 13:40 and the tour lasts 1 - 1¼ hours. After the tour you can browse and buy souvenirs and gifts in our wonderful Shop and our beautiful Tea Room will be open, serving hot & cold drinks and snacks. N.B. Access to the building on Wednesdays is only via this guided tour. Victoria Baths is a registered charity and relies on the support of the public to continue its efforts to fully restore the building. Tickets can be refunded in full up to 48 hours before the tour. Do I have to buy an online ticket? We also have a limited number available on the day, payable at the door. We will try to accommodate transfers to another date/time, with at least 48 hours notice.